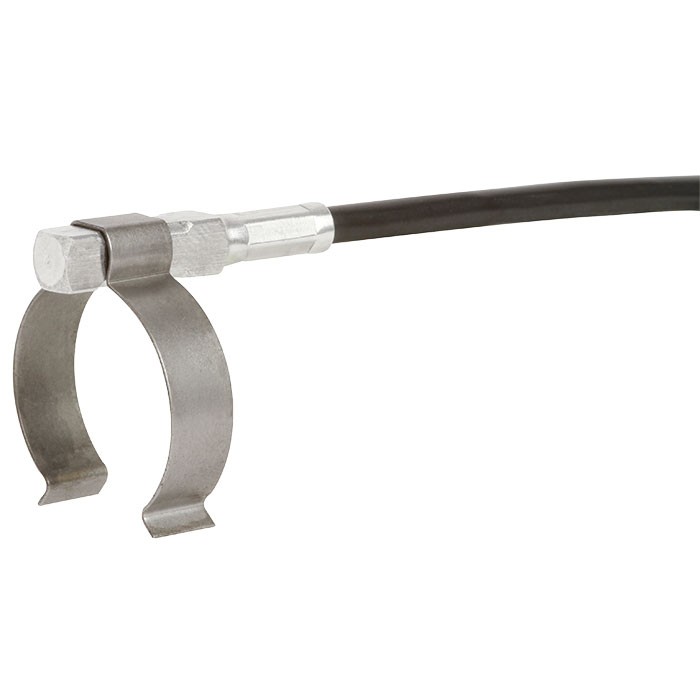 The model TF44 strap-on temperature sensor is used for temperature measurement on pipe surfaces in the range -50 ... +200 °C (-58 ... +392 °F). As a result of the indirect temperature measurement, on one hand any influence on the medium is avoided, and, on the other hand, the medium has no effect on the service life of the thermometer (e.g. high pressure loading, aggressive media). The specially contoured of a strap-on temperature sensor, aluminium probe sleeve enables exceptional heat transfer from the pipeline to the thermometer. The use of a thermal compound is usually not required. In order to keep the influence of the ambient temperature as low as possible, we recommend that the measuring point is well insulated. In particular, for large temperature differences between medium and the environment, good insulation of the measuring point is essential. For quick and particularly easy mounting, the TF44 features WIKA quick-mounting brackets for different pipe diameters. With these, model TF44 strap-on temperature sensors can be mounted easily without tools. The TF44 consists of a measuring element within an aluminium sleeve. The connection of the probe to the evaluation electronics is achieved via a connection lead from PVC or silicone.